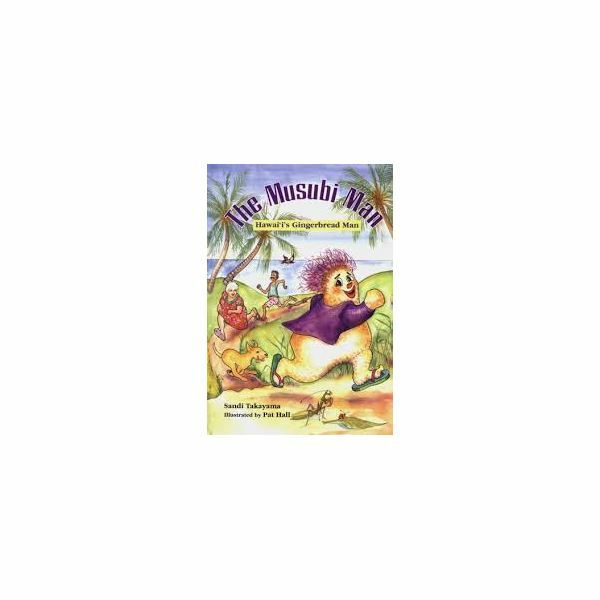 The Musubi Man: Hawaii's Gingerbread Man is a delight for children and a fun way to teach about Hawaii's vibrant culture. We all need to learn more about the way others live, and it will bring humanity in an interesting way for the children. The book is the basis of the Hawaiian culture lesson plan for preschoolers offered here. This highly animated story of the gingerbread man – with a Hawaiian twist – is sure to become a classroom staple for you in the future. Before reading the story, introduce the children to the state of Hawaii. Show them where Hawaii is located on the map. It is actually made up of eight different islands. Ask the children if they have ever been on an island before. Hawaii is sometimes called the Aloha state. Aloha is the word that means both hello and goodbye. Practice the word with your students. The story of the Musubi man will be familiar to students as they will have heard The Gingerbread Man before. However, the Musubi Man is made up of many foods that the children may not be familiar with. This includes limu hair, a nori jacket, two takuan eyes, and ebi nose and a mouth made of red ginger. It may be helpful to bring in pictures to show children what Musubi looks like. Spend time reading the story together. Ask the children to identify the main character, and why he was running in the story. The gingerbread man is easily imitated by asking the children to run in place. Have them repeat the most memorable phrases within the book, in unison. A is for Aloha: A Hawaii Alphabet: This is an alphabet book that features all Hawaiin themed words. Beautiful illustrations represent the exotic landscapes of Hawaii. This colorful book will teach young learners about many aspects of Hawaiin life. A President from Hawaii: This book celebrates President Obama's ties with Hawaii and includes pictures of him as a child growing up. The book also educates children on Hawaiin life. In A President from Hawaii children will learn that "In Hawaiin culture, tradition plays a big part. Living with aloha means giving from the heart. It is a gesture of aloha to give a flower lei. Showing kindness always is the aloha way." A fun craft for your class can be making their own leis. The craft can be performed below. 1) Measure the yarn and cut it long enough for a lei. 3) Show each child how to thread their yarn with colored paper squares. 3) Make sure that they are alternating between at least two different colors to create their leis, but they can place many colored squares in large bunches at a time. 4) Once threaded, help them tie a knot, to close it up. Hulu dancing originated from traditional Hawaiian dances. It is most often done to instruments such as the ukulele, guitar and drums. Find a CD of traditional Hawaiian music and have students wear their leis and dance to the tunes.